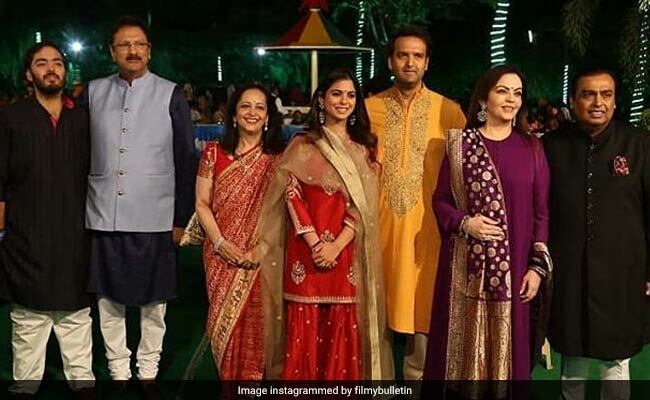 Isha Ambani-Anand Piramal Wedding: Ahead of the marriage ceremony, the pre-wedding festivities began on December 7 in Udaipur's Oberoi Udaivilas hotel which was a star-studded affair. 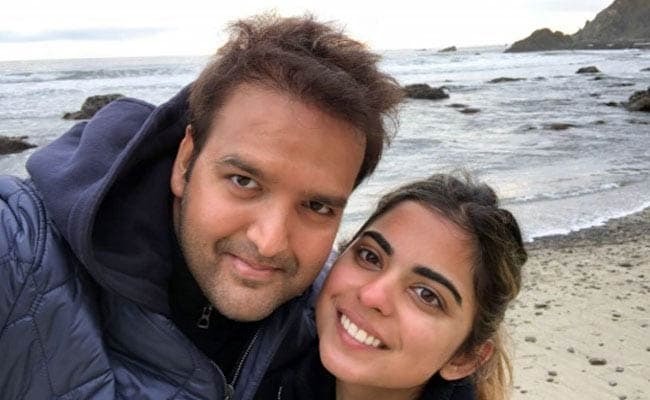 Isha Ambani and Anand Piramal will marry in Mumbai on December 12. Isha Ambani, daughter of billionaire Mukesh Ambani, and Anand Piramal, son of Ajay Piramal who is the chairman of the Piramal Group of companies, are all set for their big wedding day tomorrow. The couple, who got engaged in Italy's Lake Como in September this year, will marry at the Ambani residence Antilia in Mumbai in a private affair. The Ambani and Piramal families have been friends for four decades and the wedding will bring India's two most influential families closer. Ahead of the marriage ceremony, the pre-wedding festivities began on December 7 in Udaipur's Oberoi Udaivilas hotel which was a star-studded affair. From power-packed performances of American pop sensation Beyonce and Bollywood celebrities Salman Khan, Shahrukh Khan, Karan Johar and Aishwarya Rai Bachchan, the event turned out to be super hit. The dance videos of Isha Ambani and mother Nita Ambani also instantly went viral on social media. Nita Ambani dances with sons, husband Mukesh Ambani and daughter Isha Ambani join in. Celebrities Anil Kapoor, Shabana Azmi Priyanka Chopra, Ranveer Singh, Deepika Padukone, Rekha, Vidya Balan were also seen grooving at the grand sangeet ceremony. Former US Secretary of State Hillary Clinton, Maharashtra chief minister Devendra Fadnavis, cricketers Mahendra Singh Dhoni with his wife and daughter Ziva, Sachin Tendulkar and wife Anjali, Zaheer Khan and wife Sagarika were also in attendance. 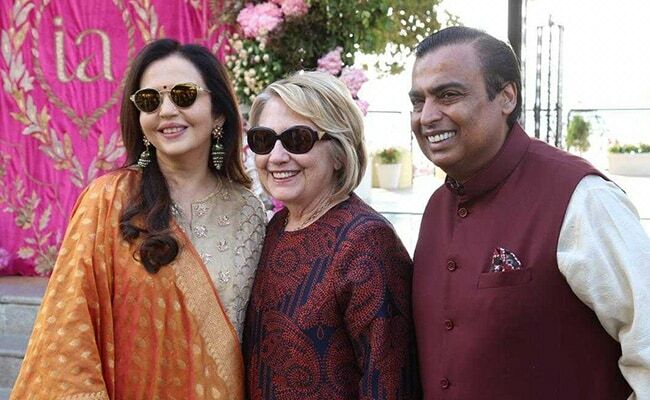 Former US Secretary of State Hillary Clinton with the Ambanis in Udaipur. The Ambani family had also organised a special 'Anna Seva' in Udaipur in which 5,100 people were served food three times a day from December 7-10. The Ambanis - Mukesh, Nita Ambani, Ajay and Swati Piramal, Isha Ambani and Anand Piramal were seen serving people at the function. Ambani and Piramal family during 'Anna Seva'. Earlier this year, the eldest son of Mukesh Ambani and Nita Ambani Akash Ambani got engaged to Shloka Mehta, the daughter of diamond magnate Russel Mehta.